YouTube, once just a simple video-sharing site has bloomed into a full-fledged entertainment hub. The Google-owned project has aided revolutions, spread knowledge, and yeah, made us laugh with some amazingly funny videos. YouTube allows its users to like, share or comment on a video, thus viewing videos much less passive as compared to television. The most important feature, though, is that the site is completely free for anyone and everyone in the world. You can watch Gangnam Style as many times as you like without any restrictions. That said, sometimes, you wish you could take the video offline and watch it on some other device. Or, if you have a friend with a flaky Internet connection, you could hand him or her over your saved YouTube videos on a USB thumb drive. These things, however, aren’t that easy because of YouTube’s policies that prevent users from saving or downloading their videos. Thankfully, though, developers have come up with really nice workarounds for this restriction. We have already showed you how to download YouTube videos on Ubuntu, and also using the Linux terminal to download YouTube videos. Now, as we move towards the mobile version of Linux, that is none other than our very own Android, it’s time to learn how to pocket your favorite videos on the go. 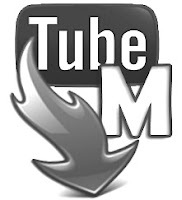 TubeMate is by far the best way to grab videos off of YouTube. It is a free app that lets you browse, search, view, and of course, download videos. Since it violates Google’s policies, it cannot be found on the Play Market, and thus, you’ll have to download it from their website. Before installing, though, you’d have to change a few settings here and there on your smartphone. Firstly, go to the ‘Settings’ menu on your Android phone. Go to ‘Security’, and from there enable the option that says ‘Unknown Sources’. This will enable you to install applications from sources other than the Play Store. Yes, we know that it’s a bit insecure; however, if you’re too worried then you can disable the option once you’re done installing TubeMate. Once enabled, from your smartphone’s browser go to http://m.tubemate.net/ and download the app from any of the links on the site. Install the app, and then it will show up in the menu. To start downloading videos, simply open TubeMate and start looking for videos you would like to download. The interface is the same, as you’d find on m.youtube.com except that there would be a green arrow allowing users to download the video. You can grab the video in FLV, MP3, or MP4 format and even in HD formats (if your phone is capable of playing it). To play the videos, I’d recommend using MXPlayer as it recognizes most of the videos downloaded from YouTube.